A wedding marquee is the perfect way to create a wedding venue in your own garden, or to extend the capacity of a wedding venue you love which can’t accommodate all your guests. It enables you have an idyllic outdoor reception, with the option of staying warm and dry should the weather take a turn for the worse. Here are some of the latest wedding marquee trends. Although wedding marquees can feel very light and airy in the summer, some couples find a large white marquee a little stark and soulless. Adding soft furnishings such as coloured linings and throws, cushions, comfortable sofas, and even rugs, can all make the feel of a wedding marquee more relaxing, intimate, and inviting. Many brides are following the trend for Indian or Moroccan style decorations and using vibrant pinks, rich reds, and bright blues in their marquee interior. 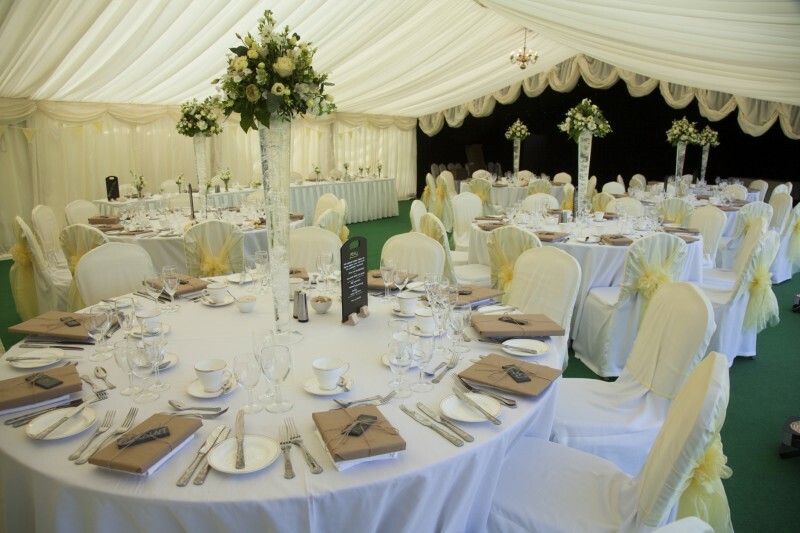 Soft furnishings work particularly well for a winter or evening wedding, when the heating in the marquee will be turned up. Contemporary marquee weddings have moved on from a single large tent, and marquee villages are now the latest trend. Individual marquees can be connected using covered walkways, and outdoor spaces such as a terrace or an al fresco bar can be incorporated into the overall scheme. The multiple marquee structures have individual roles, such as a bar area, a dining area, a relaxing lounge area with coffee and cakes, and a dancing area. Traditional style marquees work well as a marquee village, but for an added element of drama you could try tepee style marquees instead. Eco friendly is a buzz word in many industries, and the wedding industry is no exception. 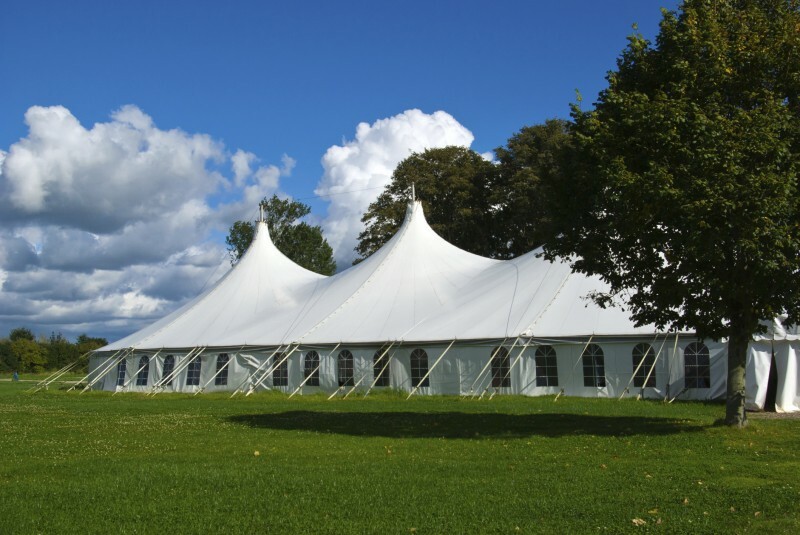 If you want to hire an environmentally friendly marquee, make sure it is made of natural organic canvas. Try to hold your marquee wedding during the day in spring or summer so minimal energy is used for lighting and heating. Your marquee may be able to do without electricity altogether if you have acoustic instruments providing the music to your reception. Couples are becoming more and more aware about the possible impact their wedding can have on the environment and are doing all they can to make their celebrations green. Lighting schemes in wedding marquees can range from cosy low lighting provided by table lamps and LED candles, to full scale lighting rigs projecting different coloured lights around various parts of the tent. Marquees often come equipped with chandelier lighting, but you may want to add fairy lights and lamps to provide more depth to your lighting scheme. Lighting is yet another part of wedding marquee design that can help to create atmosphere in a blank space.